Robert Draper and Craig Shirley are our guests this week. Original Air Date: October 6, 2012 on SiriusXM “POTUS” Channel 124. The first presidential debate, held Wednesday night at the University of Denver, has come and gone, and on this week’s Polioptics I joined Josh King and some outstanding guests — Robert Draper and Craig Shirley — to move past instant analysis and deconstruct what happened and what it might mean for the remaining month of the campaign. We found both Draper and Shirley ensconced in their respective corners of Virginia, among the most hotly contested battlegrounds of 2012. Of particular interest in our initial take on the debate was not just what was said, but what viewers saw in the nonverbal communication of the candidates, specifically through the “split screen” camera angle that was shown on many broadcast and cable outlets. Most observers called the debate a clear win for Governor Romney, perhaps an unexpected result. We also delve into how his debate win might affect the polls, the battleground states and momentum in the campaign with 31 days to go. First to join Josh and me on the line was Robert Draper, who penned a profile of Mitt Romney for Sunday’s New York Times Magazine, “The Mitt Romney who Might Have Been.” Draper is a prolific writer, not just for the NYT, but for GQ as well. He wrote this piece for GQ before last week’s debate that gave voice to some predicting a standout performance for Governor Romney. 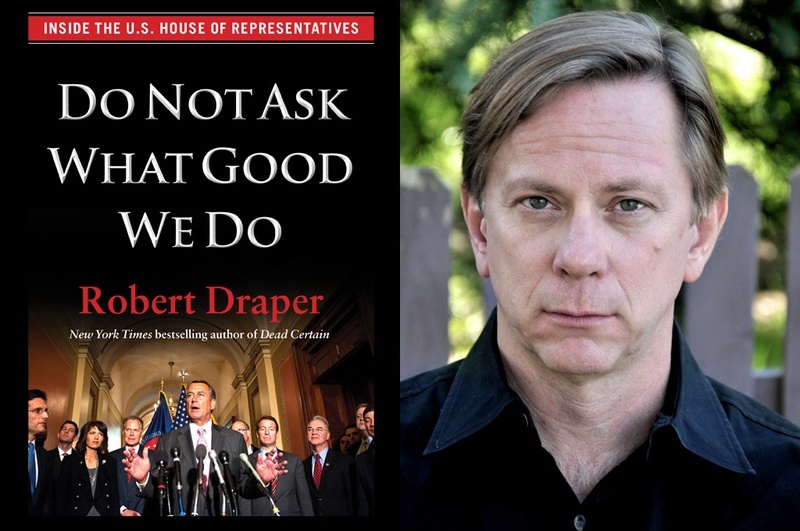 Earlier in the year, in April, Draper was out with Do Not Ask What Good We Do, his look inside the U.S. House of Representatives. looks back at the one gubernatorial term of Governor Romney, traveling to Boston to interview key figures from that time, including Massachusetts legislative leaders. In our conversation with Robert, we discuss Romney’s moderate views during his early time as Governor, and how that record became a problem for his national aspirations. Draper also gives his own debate analysis, calling attention to Romney’s experience as a corporate executive and citing anecdotes from previous political debates in Massachusetts. Allowing Draper to get back to one of his forthcoming missives, we spoke next to noted author, Reagan biographer and public relations man Craig Shirley, who told us he is currently working on three new books on Reagan. Shirley is the author of Rendezvous with Destiny: Ronald Reagan and the Campaign that Changed America and Reagan’s Revolution: The Untold Story of the Campaign That Started It All. His third book rolled back time to December 1941: 31 Days that Changed America and Saved the World. In our conversation on Polioptics, we review with Craig the 1980 campaign to see if the much-mentioned parallel to the 2012 campaign fits, particularly Reagan’s two debate victories late in that campaign. Ultimately, Shirley sees few parallels to 1980, noting that the debate that Reagan won came one week out from Election Day. We also took time during our conversation to address one topic popular in 2o12 parlor conversation, which is whether Reagan Reagan was sufficiently conservative to the core to be nominated in today’s GOP political environment. It’s a notion that Shirley wanted to affirmatively answer for the punditocracy for once and for all. Listen in for his views. Finally, we look forward to the polls, the jobs report, Monday’s foreign policy address from Romney at Virginia Military Institute, and next week’s vice presidential debate, all issues for the next episode of Polioptics.